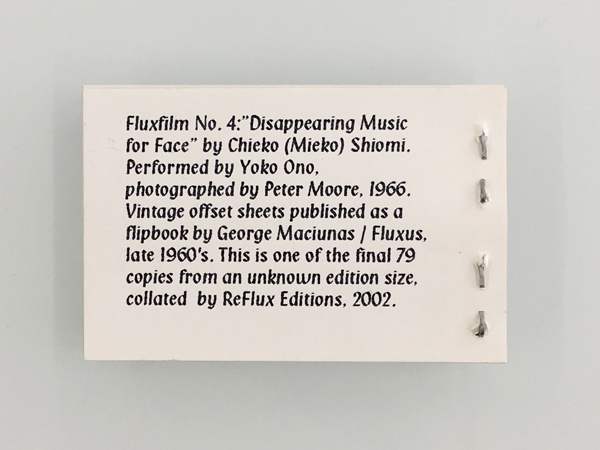 "Disappearing Music for Face" by Mieko Shiomi, performed by Yoko Ono, photographed by Peter Moore 1966. Vintage offset sheets published as a filipbook by George Maciunas / Fluxus late 60's. This is one of the final 79 copies from an unknown edition size. 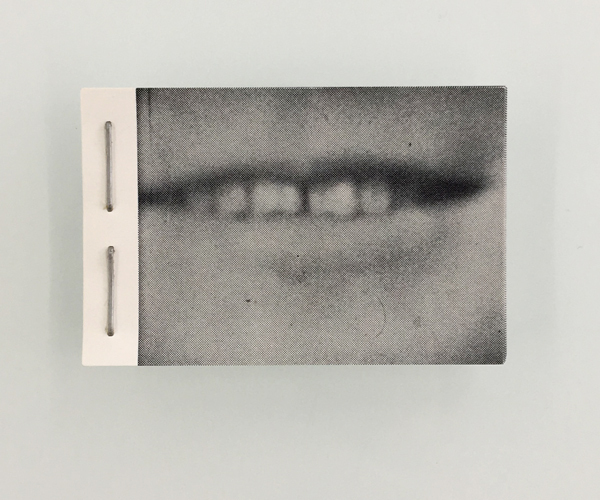 collected by ReFlux Edition, 2002.